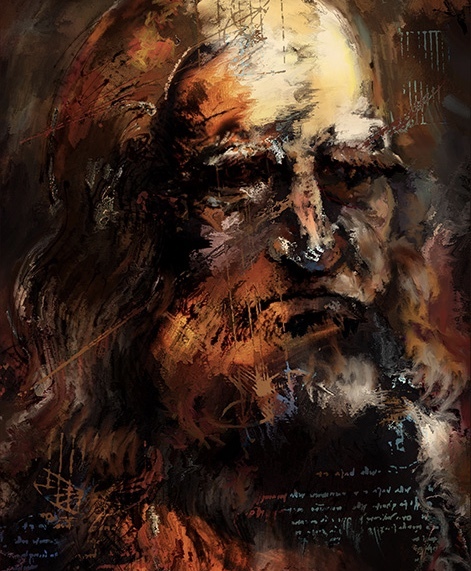 This portrait was based on a da Vinci self-portrait combined with some of his notebook sketches and writings. I created this using Corel Painter on a Mac with a Wacom tablet. If your interested in da Vinci please join in my da Vinspiration! evening celebrating his genius on May 2nd, 2019, the 500th anniversary of his passing.